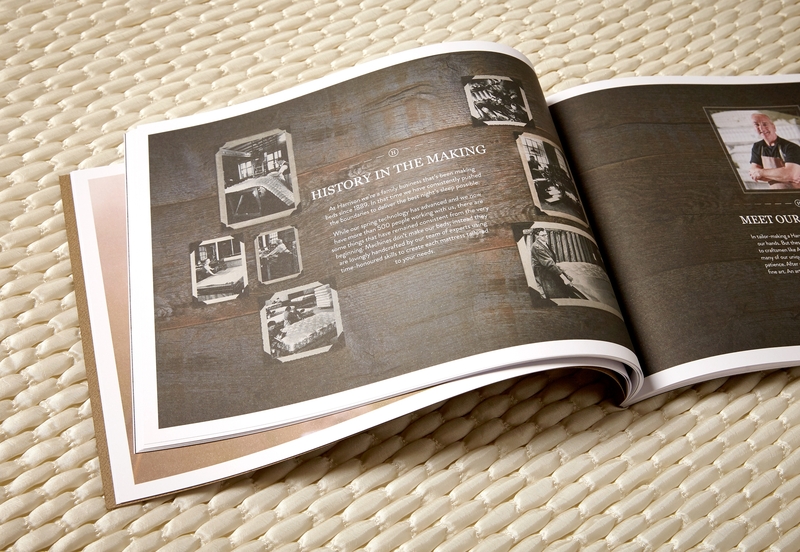 Crafting great brochure design within an existing brand framework isn’t always easy, but we like to think this is where some of our most creative ideas come to light. 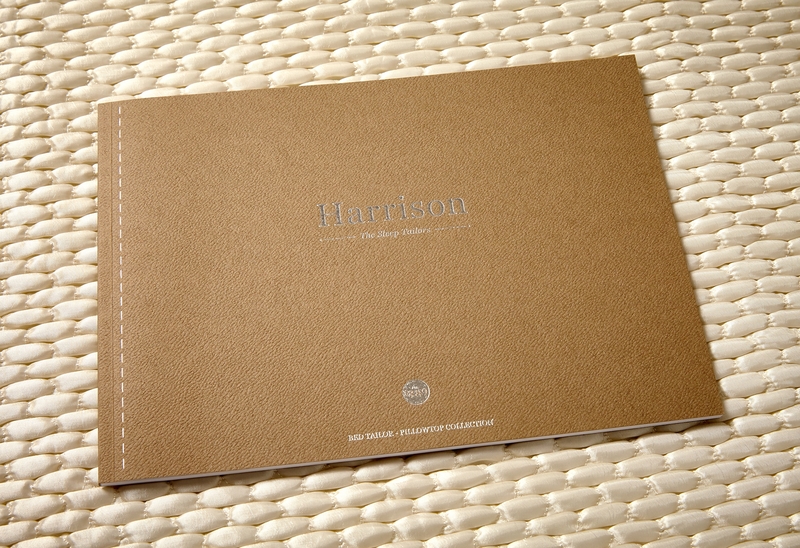 We were challenged by revolutionary bed makers, Harrison, to develop a brochure for the re-launch of its Pillowtop mattresses. 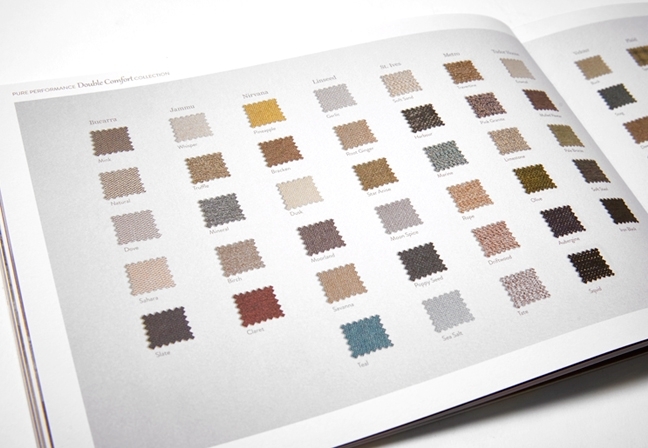 We delivered a catalogue design that sells the virtues of this sumptuous range, while fitting in easily with the existing literature. The Pillowtop collection from Harrison features a luxurious mattress topper. 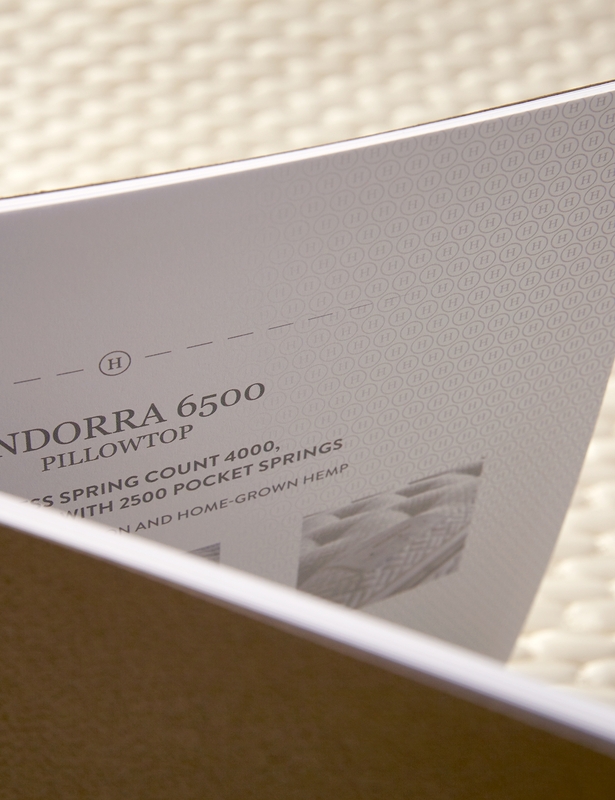 Expertly crafted with unique spring technology, each bed is handmade with natural, blended fillings. The topper provides an extra level of sumptuousness that you sleep in rather than on. The complex nature of the product required us to go into technical detail, demonstrating the spring technology and layers thoroughly, all through elegant design. All of this added up to a design that needed to be soft, luxurious and informational. We began the design process by researching the product thoroughly, going into detail about how it works, how it is made and how it feels (trust us, it feels amazing!). This mattress is truly tailored to its sleeper, and we wanted to ensure we took the same approach with our design and copywriting. We developed a key phrase that would, as simply as possible, encompass everything that Pillowtop is. 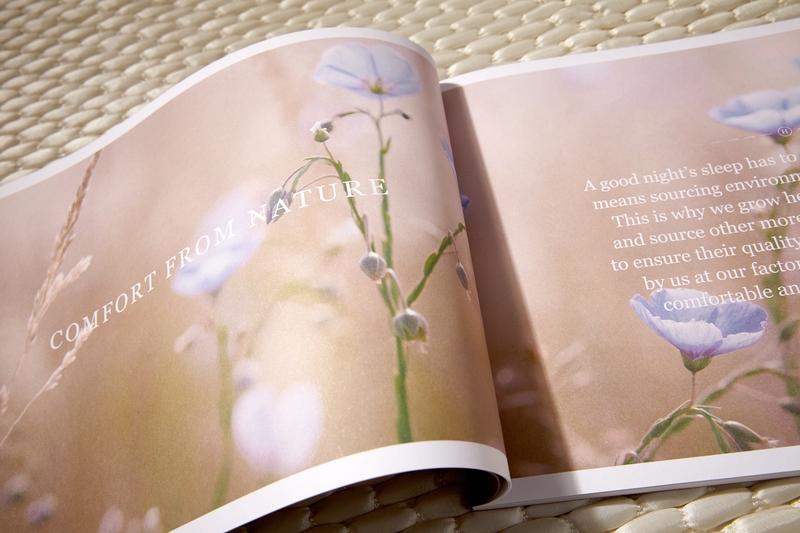 ‘Embraced by Nature’ perfectly demonstrates the luxurious feeling of a naturally filled mattress you sleep in, rather than on. The range was launched at the National Bed Federation show in September 2016 and was very well received.